Tooth bonding is a dental process where a dentist uses a composite resin to cover teeth that have become physically damaged or discolored. If your teeth are fractured, chipped, discolored or decaying, dental bonding offers a great cosmetic solution. 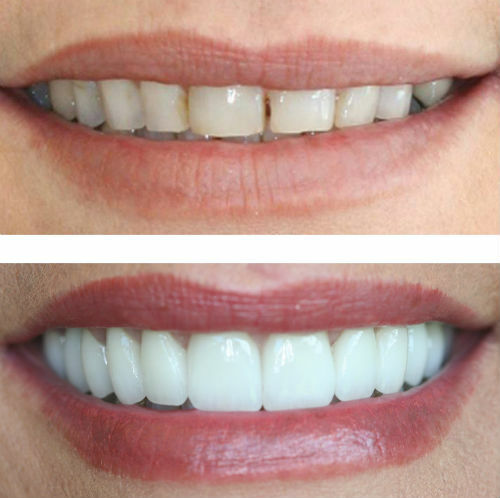 The composite resin will be matched with the color of your original tooth to blend in. Sometimes, teeth bonding can also be used to protect areas of teeth roots that have become exposed due to gum recession. The procedure will typically take between 30 to 60 minutes to complete. If more than a single tooth is to be worked on, it may take a couple of clinic visits spread over several days. Composite resin is the most commonly used type of teeth bonding material. This is a soft plastic substance that the dentist can easily mold to fit around chips, cracks, and stains. In addition, the material can be used as a filling. It is used for both indirect and direct teeth bonding. Direct bonding leans more towards cosmetic dentistry. It mainly entails correcting minor and routine dental imperfections like stains, cracks, chips, and teeth discoloration. It can also be utilized in closing gaps between your teeth or to simply improve tooth structure. Indirect bonding is good for teeth that have limited access. Such restorations include veneers, crowns, inlays, and onlays. It is called tooth bonding because the composite material used by the dentist to restore the tooth is designed to bond into place. The lifespan of the materials used in tooth bonding depends on how heavy or light the bonding was, as well as your own oral care and hygiene habits. Typically, however, you can expect the material to last from 3 to ten years before it needs to be replaced or touched. For the initial couple of days, avoid eating hard foodstuffs following the dental bonding procedure. Substances that are known to stain the resin such as tobacco products and coffee should also be avoided. Similarly, avoid biting your fingernails and chewing pen caps. Because a bond will not offer a similar level of strength as your real teeth would, it’s important that some habits like opening food packets and bottles with your teeth are avoided. Develop good dietary and oral habit and remember to schedule regular teeth cleanings after every six months. This is a relatively economical way of making minor dental repairs. To get dental bonding in the US can cost you anything between $100 and $400 per tooth. However, the good thing is that most dental insurance plans do cover many aspects of bonding, especially if the goal is to fill a cavity or for structural reasons. Because the dental bonding procedure demands some artistic skill for the best cosmetic outcomes, it’s important that you choose an experienced dentist. In the days following the dental bonding, carefully monitor your teeth and in case you feel very uncomfortable when you bite or notice any sharp edges around the areas recently worked on, call your dentist.